Belfield Quarry (as it is now known) was started back around 1984. After settling in to our first flat, the urge to build a layout soon arose, but space was tight. I retrieved an old baseboard from the family home (my parents didn't seem to mind!) and decided to squeeze as much as I could onto it. The result was a two-level layout purporting to be the grading building attached to a quarry. 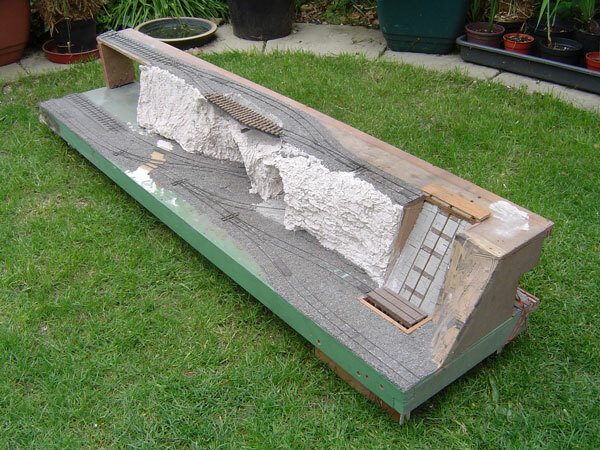 The layout is 1400mm long x 300mm wide x 250mm high. Trains of full wagons run into the area from a hidden siding at the rear. A pilot shunts the wagons to the hoist where they rise to the upper level and are run into the grader by another loco. Empty wagons are returned to ground level and run into the bottom of the grader and then off the the rear again. The layout is 1400mm long x 300mm wide. 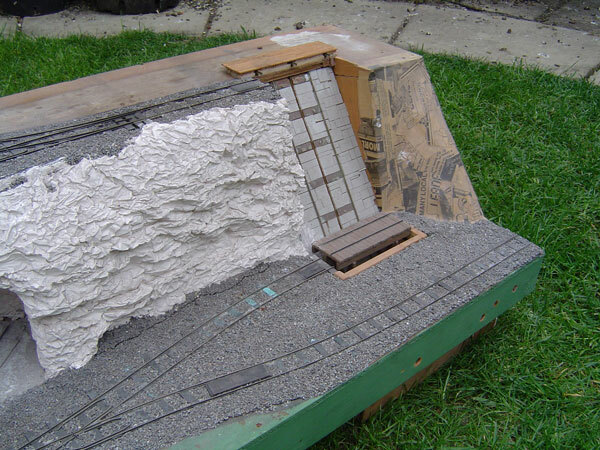 The cliff faces were made by pouring plaster of paris into moulds of crumpled aluminium foil. 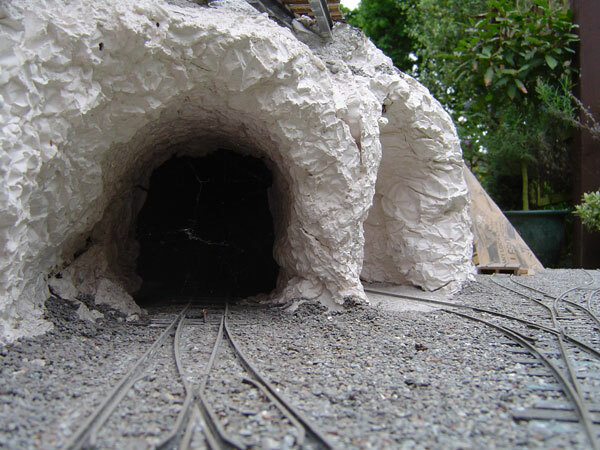 I'd like to think that once weathered, it would look pretty realistic. The ballast came off the beach near where we once camped (my once and only foray into such delights) and has appeared in many models. I think I still have a small amount left! A hoist located at one end exchanged full and empty wagons between the two levels. The layout was fully operational with power sections, seperate control panel, H&M point motors, Kadee magnets, etc. It could be operated from either the front or rear and had a small fiddle yard for changing the stock. When we moved home, the layout was consigned to storage in the garage and now only makes an appearance on those rare days when the garage is cleaned out. A shame, but the new house offered so many more opertunities. Still, I couldn't bear to throw it out, so it remains to taunt me of all those UFO's (Un-Finished Objects).